Healthcare is or should be wholly committed to service. The nature of chiropractic emphasizes service to an even greater degree than traditional medicine, because of the face-to-face time spent with our patients. 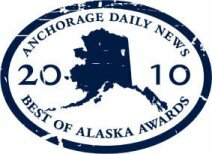 It is a “hands on” type of health care that is unique among the family of healthcare services available in Anchorage. To that end, our clinic intends to weave service into every aspect of our clinical programs, from our front desk and billing departments to our professional and paraprofessional staff. We intend to accomplish this by excellence in the clinical application of chiropractic programs, and provide these services in a friendly and caring environment suitable for professional practice. While we are qualified to meet the needs of a wide variety of ailments, our target market would be families. The family is the nuclear core of any long-lasting practice, and careful management of the family practice will insure a clinical practice that can last for generations. Beyond the broader scope of family practice, our clinic has special qualifications in sports injuries, physical fitness and rehabilitation, industrial health care, nutritional and lifestyle counseling, impairment rating evaluations, and family health. These are aspects of practice that meet the unique needs of a wide variety of our patients, and are useful and marketable to various aspects of the related health care delivery system, providing a more diversified and expanded referral base. To summarize, our clinic is one that intends to provide the finest chiropractic care to its patients in a convenient, contemporary, and compassionate manner. We intend to be sensitive to the needs of our patients as well as the dynamic healthcare market by keeping abreast of the latest trends, anticipating those changes, and expanding our services to meet those challenges. Beyond meeting the needs of our patients, however, we intend to provide a facility that our staff would be proud to work for. We intend to provide a secure environment with comfortable and safe equipment. We intend to encourage in our staff a commitment to excellence, and provide the necessary recurrent training to equip them to adapt to and meet the needs of our patients. In all, we intend to maintain and promote the high standards and reputation our patients and staff have come to know and appreciate.